I’m loving me some Domino right now. Seriously, folks. I’m just slightly obsessed with the relaunch of their magazine and their new (and awesomely interactive) website. So, it’s no surprise that I’ve pulled today’s inspiration straight from their Holiday 2013 magazine. 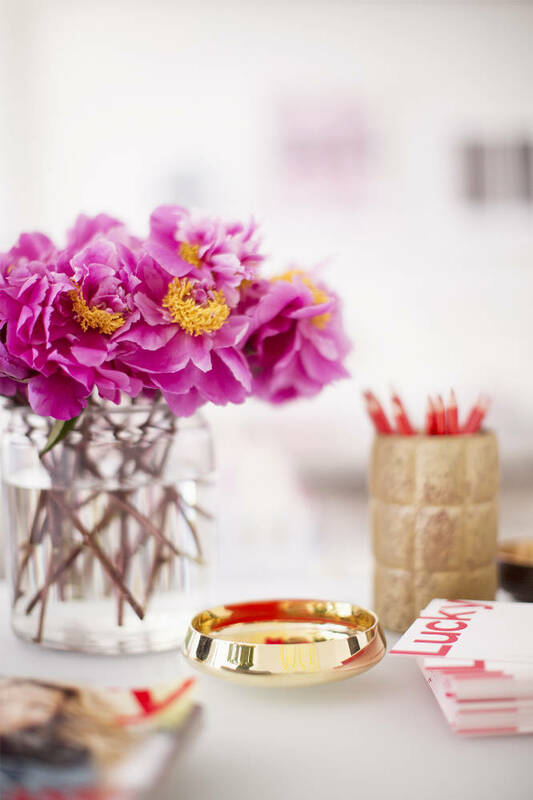 How could one NOT obsess over the fabulously light and airy (…and chic, and bright, and wonderful, and fun, and I-want-to-work-there…) office of new Lucky Magazine Editor in Chief, Eva Chen. 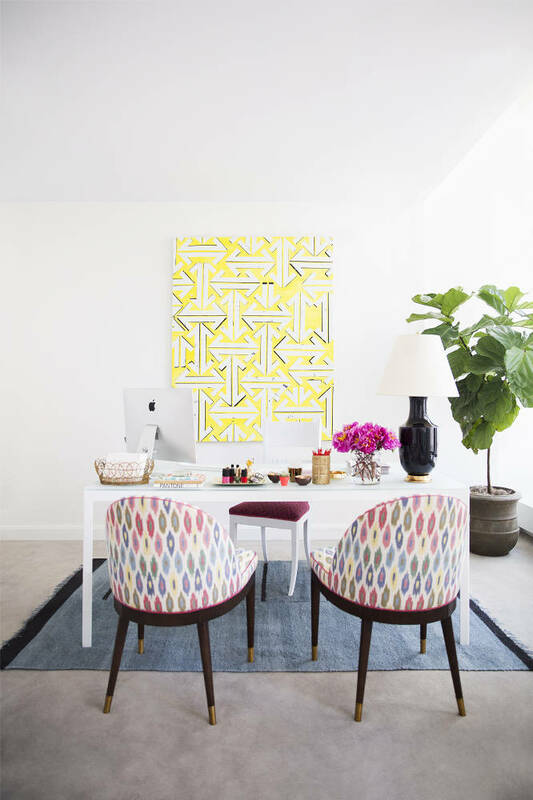 I’m coveting her dreamy Beni-rug (shocker) that adds just the right touch of ethnic texture to the simple, urban (but most definitely feminine) feel of the space. There’s a heavy dose of color if you really take a look, but the brightness and saturation is toned down when paired against the white walls and simple silhouettes. And the gold accents (swoon) finish off the space perfectly! So much fun, who wouldn’t want to come to work every day? That is her OFFICE?!?! I would LIVE in that office… lol… I would be a work-a-holic there as I would never want to leave!!! Ab fab!